Mommies and their babies usually have an amazing bond because when a baby spends 9 months in mother’s womb, he or she gets used to the dearest voice and scent. 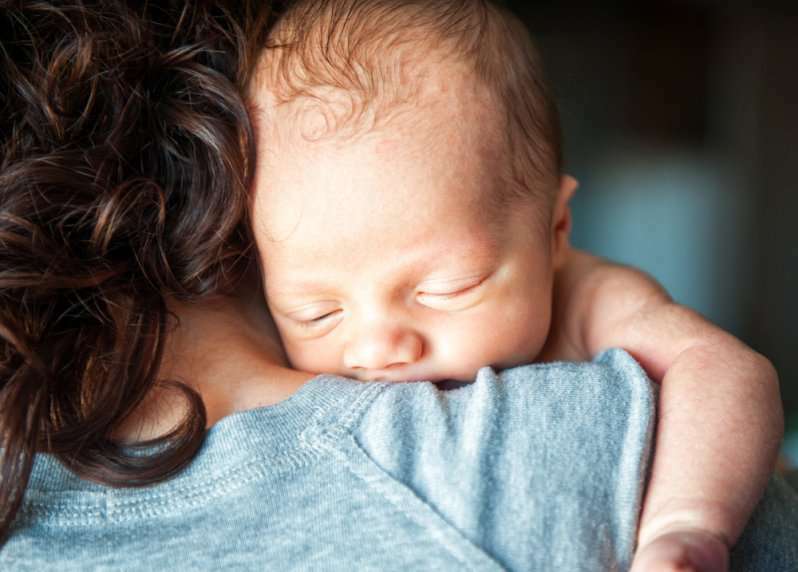 They can’t talk or walk yet, but there are many examples when babies recognized their mothers and kind of expressed their affection immediately after birth. It was an incredible moment when my daughter hugged me for the first time. The medical team were great and were all really surprised that she acted this way, they couldn't believe how affectionate she was with me. Somebody in another clinic managed to capture a moment when a baby boy doesn’t want to let go of his mother. This baby also was born via C-section and when the nurse was holding him close to his mom’s face, he hugged her. Every time the nurse was trying to take him away, he cried. Everyone in a room was surprised to see such a sweet behavior. A new mom seems to be exhausted, but she smiled when her son demonstrated such strong affection for her. Finally, the nurse took the baby to clean, however, he didn’t like the separation from his mother and started crying again. These beautiful moments prove that all the babies need their parents, and this bond is really precious.